Barnet’s Libraries are in good shape. Kept Barnet’s libraries open – neighbouring Brent closed half theirs. Provided all libraries with free wifi. Pledge not to sell the Friern Barnet library building. Deliver improvements to library buildings where required and have new buildings planned e.g. Finchley Church End library. Examine the potential for libraries to expand their offer and become community spaces. Look at community involvement and assist local people to actively support their libraries. Yet six month on they are planning to decimate the libraries. Where was that in their manifesto? Just like the second phase of outsourcing they are planning, it was silent on the subject. They said that out libraries are in good shape - so why do they want to turn them into large living rooms just 20 ft by 27 ft? It just shows that you should never believe anything a politician tells you. I was at the East Barnet Library consultation on Friday and the level of mistrust in the Council was off the scale. No one believes a word the Council says any more. "This contract variation will increase the Contract Charges by £301,508 in Year 1 and £152,072 in Year 2 (Total £453,580) and will be reviewed after 2 years against the revised Contract Baselines in line with the Payment Mechanism set out in Schedule 4 of the Contract". Year 1 of the contract - additional 7 FTE to be put in place within the service. 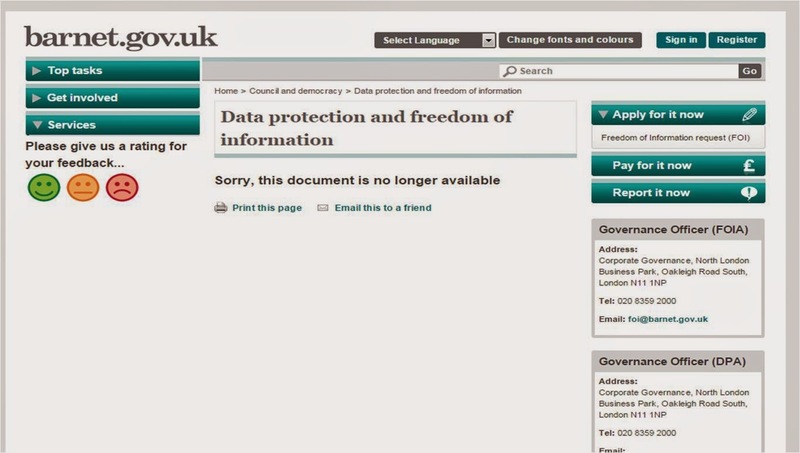 Although this decision was made in May 2014 it was only published on 10 November. This causes me great anxiety that we have to wait 6 months to find out what the council is doing. More to the point what benefit does provide for the people of Barnet? Having called to ask about book availability I went through to the main Capita call centre. Could they help me with my enquiry - absolutely not. After much faffing around they put me through to East Barnet library who I had wanted to speak to in the first place where my enquiry was dealt with quickly and efficiently - no, the book was not in stock at East Barnet but there was a copy at Chipping Barnet library. Was my experience a one off - well no actually because according to the Capita call centre performance data for September 2014 only 29.8% of library calls dealt with by the Coventry call centre were resolved. I have always questioned why so many library calls are routed through the Capita call centre in Coventry when actually the people I want to talk to are in the actual library. Now we know that it is costing us £453,000, including a nice mark up on the salary costs. To my mind that is money wasted that could have been used to support our libraries instead of closing them. When will Barnet Councillors wake up and realise just how wasteful this One Barnet Contract really is and start questioning the underlying principles of outsourcing everything. 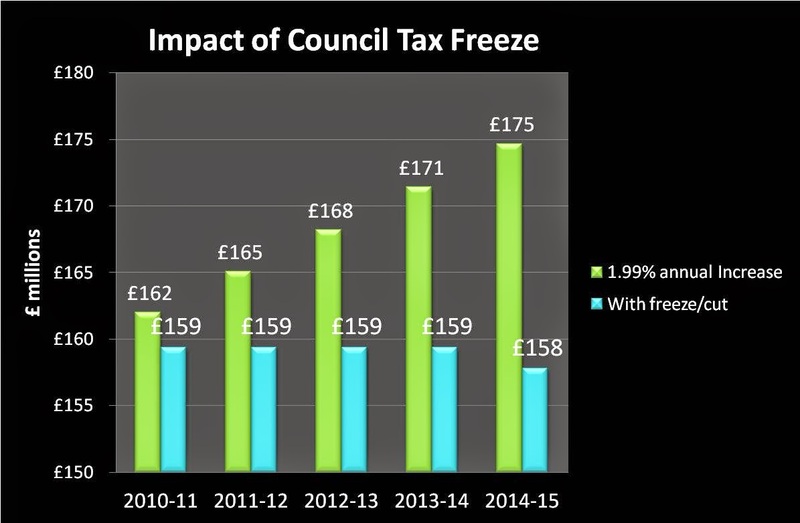 Since 2010 Barnet Council have had a policy of freezing Council Tax and this year, just before the election, a Council Tax cut. Sounds good for Barnet Council tax payers but it is simply not sustainable. Costs that the Council has to pay are still rising and many contracts have RPI increase clauses. Barnet could have increased the council tax by 1.99% without triggering the need for a referendum and in 2013 41% of Councils in England did increase their Council Tax. This year 43% decided to have modest Council tax rises. Not Barnet. They insisted on cutting council tax just weeks before the election. Up to a couple of months ago it seemed that One Barnet was paying for this freeze but now the reality has hit home and we face massive cuts to key services like libraries. The Council has received a subsidy from the government to help take the pain out of the freeze but these grants are discretionary and will not last indefinitely. I have calculated the difference between what the Council could have collected with 1.99% annual increases and the current policy of freeze and including the central government subsidy the council have received. Based on my calculations Barnet has missed out on £38 million of revenue since 2010 and this year alone, including central government subsidy, the difference is approximately £12.9 million. Nobody wants to pay too much council tax but ultimately people need to decide if they want to keep essential service like the libraries and pay a little more each year to ensure they are maintained or have lower council tax and poor services. Sadly residents were never given that choice and the political idealogues have pursued their low tax philosophy without any checks or balances. The unsustainable situation it has created has led to cuts, cuts which many people say are unacceptable and the only people to blame are Barnet Conservatives. Let's have an open dialogue about the services people want and are prepared to pay for, not what we are told we can have by the ruling politicians. 1. A library service that provides children and adults with reading, literacy and learning opportunities. 2. A library service that engages with communities. 3. A library service that makes knowledge and information easily accessible. 4. A library service that can withstand current and future financial challenges and safeguard services for vulnerable people. Asking whether you agree or disagree with the first three objectives is entirely fruitless. For example who is going to say they want a library service that makes knowledge and information difficult to access or a service that doesn't engage with the community. Then you reach objective four, a carefully constructed statement which follows the classic "when did you stop beating your wife" format. Which ever way you answer this question the council will use it against you. If you agree because you want to safeguard services for vulnerable people it sends them a green light to cut the service to all but a few key libraries. If you disagree because you are concerned about the financial threats to the services they will say that people don't care about safeguarding services for the vulnerable. Later on in the survey it asks which days of the week would you prefer libraries to be staffed, ranking which day is most important and which day is least important - surely every day is important. It then makes an interesting statement "Relocating the library would make it possible to rent out the existing site, generating income which could then subsidise the running costs of the services. Alternatively the council could generate income by redeveloping or selling existing sites". However Barnet don't exactly have a good track record at this. Remember the complete mess they made with the "Landmark Library" at North Finchley. After paying consultants to carry out a feasibility study they found out that the idea was immensely costly so it was scrapped. Also remember the Church Farmhouse Museum which the Council said they could sell or rent out for a profit, yet so far no one has taken up the lease and it has cost a fortune in security costs to keep it closed. Looking at my own local library in East Barnet, the space they propose to use for the new small self service library is less than a quarter of the ground floor space. But how much will it cost to convert and who one earth is going to rent the rest, especially as the library has a serious subsidence problem. And this is where I have the biggest problem with the entire crazy project and that is the lack of proper financial and operational data. It sets out the reduction in staff numbers but says nothing about what the costs of library conversions would be, how much rent tenants would pay, what each site would realise if sold and, most importantly, how many library users would be lost by adopting each of the strategies. In fact the only financial numbers I have see so far is the £200,350 it will cost to undertake the consultation exercise and report back in April. This is symptomatic of the council's approach. Spend a fortune on fruitless consultation exercises which they will ignore anyway and press ahead with ideological plans which have no detailed supporting evidence. I urge everyone to make their views known as silence on this subject will be interpreted as acceptance by the council. Tomorrow is the Performance and Contract Management Committee meeting. 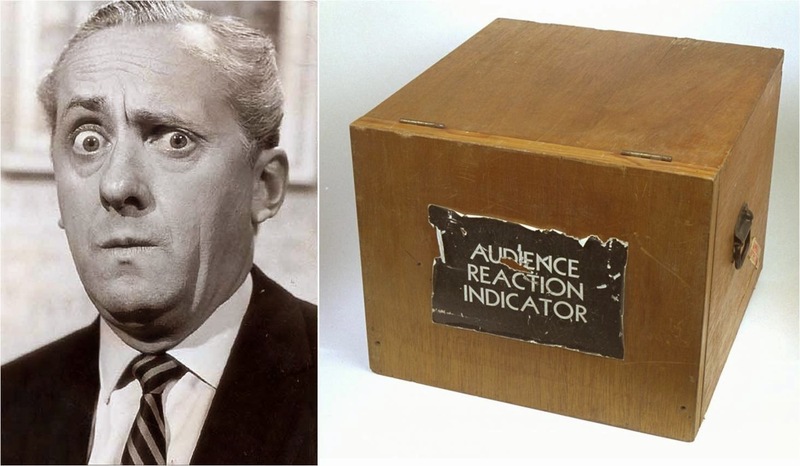 One of the items relates to the performance of the Capita in answering the telephone. This is an area which has received significant scrutiny in the past (see Mrs Angry's post from June) with Capita admitting that they have used call capping to dump calls when the lines get too busy. 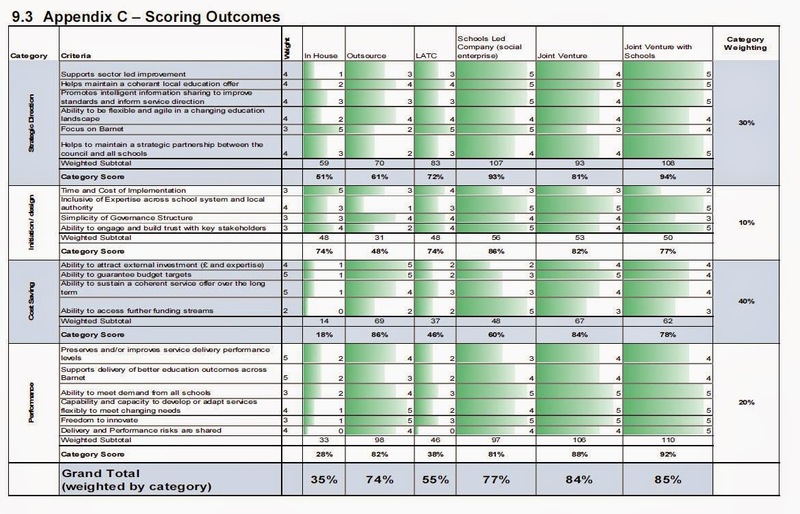 At this week's meeting the report says that Capita answered 78.1% of calls within 20 seconds for the quarter, below the KPI target of 80% but only just. As always I like to understand what is going on behind the figures and the raw data is now published here. What I found was quite a mixed picture. I have focused on September figures as they are the most recent. For Housing Benefits only 56.4% of calls were answered within 20 seconds and 914 calls were abandoned with a maximum queue time of 25 minutes 23 seconds. For Council Tax 54.6% of calls were answered within 20 seconds and 842 calls were abandoned with a maximum queue time of 31 minutes 53 seconds. For School Admissions 63.5% of calls were answered within 20 seconds and 606 calls were abandoned with a maximum queue time of 53 minutes 19 seconds. Did any of these figures make their way into the report - I don't think so. Now maybe I am being a bit negative. OK, so some people had to wait nearly an hour to have their calls answered but surely once they got through, their problems were resolved. Well actually when you look at the data on call resolution that doesn't make good reading either. Set out below is a chart which shows the calls resolved, unresolved and outcome not recorded. What this illustrates is that in some areas more than half the calls are going unresolved and in Children's services 94% of calls are unresolved. It is unsurprising that 71% of council tax queries get resolved as this is a key performance measure which Capita are judged on and on which Capita have provided a guaranteed collection rate. 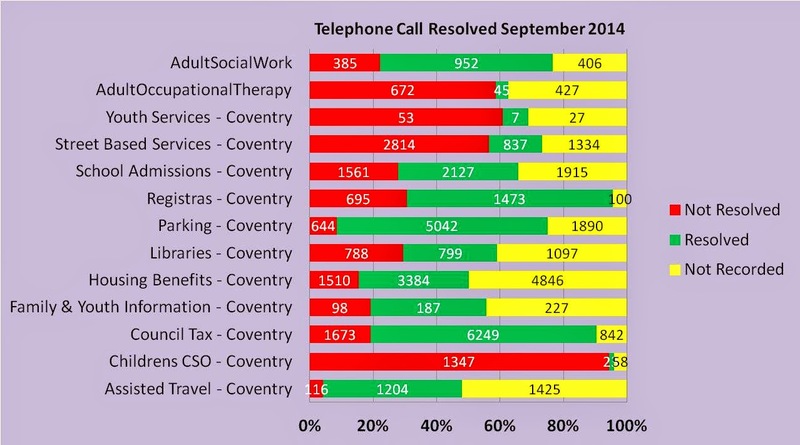 56% of Street Based Services and 59% of Adult Occupational Therapy calls are not being resolved. Next I had a look at wait times at both Barnet House and at Burnt Oak Library. While Barnet House initial wait times are an average of just 1 minute 26 seconds, the average initial wait time at Burnt Oak is 26 minutes 27 seconds. Indeed, pity the poor 144 people in September who had to wait at least 45 minutes at Burnt Oak Library including one person who had an initial wait time of a shocking 81 minutes. Perhaps responding to emails is better? No. In fact in September 32% of emails were not responded to in 10 days, surely long enough for anyone to provide a response. 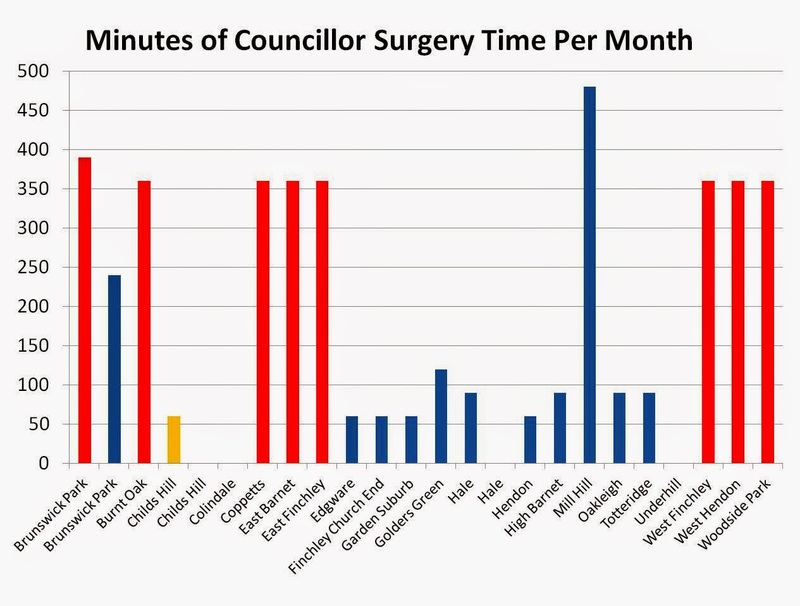 So do Councillors get a better service? Well in September only 58% of members enquires were dealt with within the Service Level Agreement time of 5 days, with Education & Skills and Adults enquiries fairing particularly badly. Will any of this get discussed at the meeting on Tuesday. I doubt it especially if Cllr Finn is chairing the meeting doing his best to suppress any criticism of Capita and the Council's failing and destructive policy of outsourcing everything. It is about time somebody started holding Capita to account and if our Councillors won't do it then we need to get someone who will. September supplier payments have been published here showing that Capita were paid a whopping £6,691,280.30. The bill would have been just over £7 million but there is a credit of £313,479 I will have to see why so much was previously over paid. Other large payments include Comensura who received £1,166,913.31, This is for a contract which is supposed to be reducing but which so far has cost Barnet £6.9 million in the first six months of the year. The Barnet Group covering both Barnet Homes and Your Choice Barnet were paid £6.2 million in September. I would suggest anyone who is interested should read the papers for the forthcoming Audit Committee which has a limited assurance report on Your Choice Barnet. Barnet Lighting, the hugely expensive streetlighting contract cost £704,141,41 in September and continues to represent a badly thought through contract. City Suburban Tree Surgeons were paid £245,195.49. Given that last year they were paid a total of £593k this does seem a particularly high bill for just one month. There was one interesting supplier, a company called Crowd Technologies who received a modest £2,040 for 5 software licences when looking a little further at this company I found that they provide amongst other thing social media monitoring. Perhaps they are monitoring this blog. 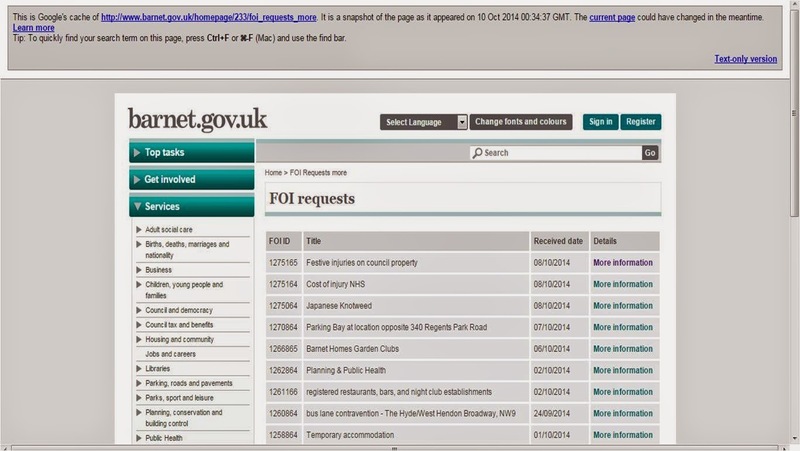 On Friday evening, after work, I was going through Barnet's website as a vigilant resident when I noticed that the open data page had changed. This is where you can usually find important data about the council's performance. It includes things like the supplier payments and freedom of information requests. A clear summary with a button you could click on to see more information. Moving on to supplier payments this has also changed. In addition to being buried away it is now only downloadable in CSV format whereas previously it was also downloadable in excel and PDF format which are more familiar to most people. 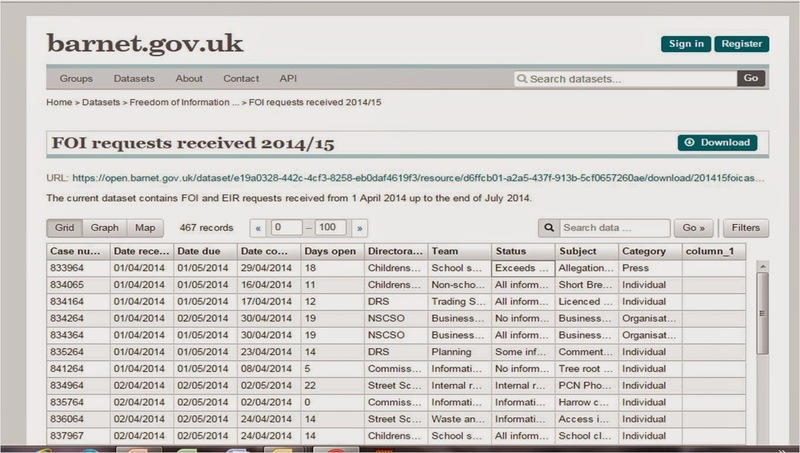 Interestingly the supplier payments for August 2014 which were previously published have now disappeared and it is very difficult to find previous years' supplier payments as there are no links on the current year's page. Some may say I am paranoid but I do get a feeling that the changes are being made so that it is much harder for residents like me, the other bloggers and engaged residents to challenge the council on their spending, especially under the Capita contract. I have contacted the council so time will tell if they actually do something about restoring the limited transparency we previously received. At tonight's Policy and Resources Committee the main feature will be the report in to Governance failure and the departure "by mutual consent" of the Monitoring Officer. However there are a few other items on the agenda which I hope do not get overlooked. In particular there is a report on the introduction of Area Committee Budgets. This plan proposes to give each of the three area committee a budget of £100,000 per annum to give away in grants. The total of £1.2 million over the four years of this scheme will come from reserves. The criteria for these grants is that they should be one-off and do not require on going funding. Therefore they cannot be used for revenue support. Applications should be made via councillors and they will act as 'gatekeepers' for applications. The indicative range for the value of awards will be between £200 and £9,999. • To maintain a well-designed, attractive and accessible place, with sustainable infrastructure across the borough. • To maintain the right environment for a strong and diverse local economy. • To create better life chances for children and young people across the borough. • To sustain a strong partnership with the local NHS, so that families and individuals can maintain and improve their physical and mental health. • To promote a healthy, active, independent and informed over 55 population in the borough to encourage and support our residents to age well. • To promote family and community well-being and encourage engaged, cohesive and safe communities." Now you may be saying this sound like a good idea. However, at a time when funding for essential services is being cut it seems bizarre to be giving away £1.2 million in small grants. For example the priorities state that these grants should support the objective to create better life chances for children yet this week Moss Hall Nursery is facing a 50% funding cut It also states that they want these grants to promote a healthy active and informed over 55 population yet the leisure budget is being slashed. They want to promote a strong partnership with the NHS yet they are doing their best to drive Your Choice Barnet into the ground by cutting staff pay and reducing services to those with physical and learning disabilities. In my opinion if Barnet has £1.2 million going spare it would be better used supporting the essential service that are being cut than to come up with vanity projects in the hope of buying votes at the next election. This week there are a number of meetings which may have an influence on who is running Barnet in the near future. Tonight there are two committee meetings, the General Functions Committee and the Remuneration Committee. Both quite dull you might assume, but I think otherwise. First is the General Functions Committee where they will be discussing a senior management restructure. The outcome of this restructure is a proposed saving of £100,000 a year, certainly not enough in my view. There is a great deal re-titling of posts but there are some new posts being created which, to my mind, are both flawed and indicative of the increasing remoteness of senior officers from the residents they are there to serve. From my perspective we do not need both a Chief Executive and a Chief Operating Officer especially now as so much of the council is outsourced. My recommendation would be to do away with the Chief Operating Officer role, and to make the Deputy Chief Operating Officer the S151 Officer. 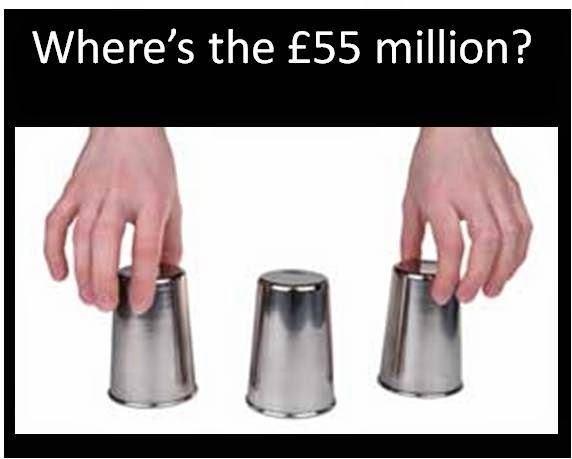 If the current CEO was made redundant and the COO promoted into that role but on their current salary of £158,464, it would save the council £231,702 per annum, more than double the proposed savings. I also see no need for a new Strategic Director of Commissioning to sit above the four Commissioning Directors. If that new post was deleted that would save a further £195,703 per annum. It would also get the Commission Directors reporting direct to the Chief Executive which to my mind would be a positive step. There is also a proposal to create a role entitled Director for Strategy and Communications at an annual cost of £140,600 profligate in my view especially as this is in addition to the Head of Communications and Marketing with an annual cost of £98,129. I think the council has reached strategy saturation - what it needs are people to do front line jobs. Think how many care staff could be employed or nursery funding cuts reinstated with the £568,000 per annum that could be saved if only a degree of common sense was used. It appear that straight after the General Functions Committee the Remuneration Committee will talk again about this restructure although quite why it needs two separate committees to discuss the same matter is beyond me. Then on Tuesday we move on to the main feature of the week and the report by Claer Lloyd-Jones and the complete and utter failure of the Monitoring Officer role to actually provide the governance required by the Council. I won't go into the report in detail as Mrs Angry has done a far superior job than I could ever do so I suggest you read her blog here. All I will say is that evidence continues to percolate out and the more that is revealed the worse it looks for those in charge of Barnet Council, both Leader and Chief Executive. The "has she/ hasn't she gone" debate that went on last week in the press was unedifying made worse by the response from Dan Thomas that Barnet is a super efficient council. Was she the only candidate on the list or were others dissuaded from applying by the deletion of the need for a legal qualification? The next big question will focus on the decisions that have been made by the former monitoring officer since she was appointed back in 2012 and whether she was sufficiently qualified to make them. Barnet have had some major problems recently with their legal advice such as the parking charge increases being ruled illegal and millions having to be refunded to residents. More recently Andrew Dismore's various complaints to the leaders panel which were ruled out by the former monitoring officer in spite of the advice of the independent person who sits on the panel. The Council seems to lurch from one crisis to another and from my perspective that stems from weak leadership. A vote of no confidence in both the leader and the Chief Executive is next and that may see both occupiers of those roles seeking new opportunities before the month is out. 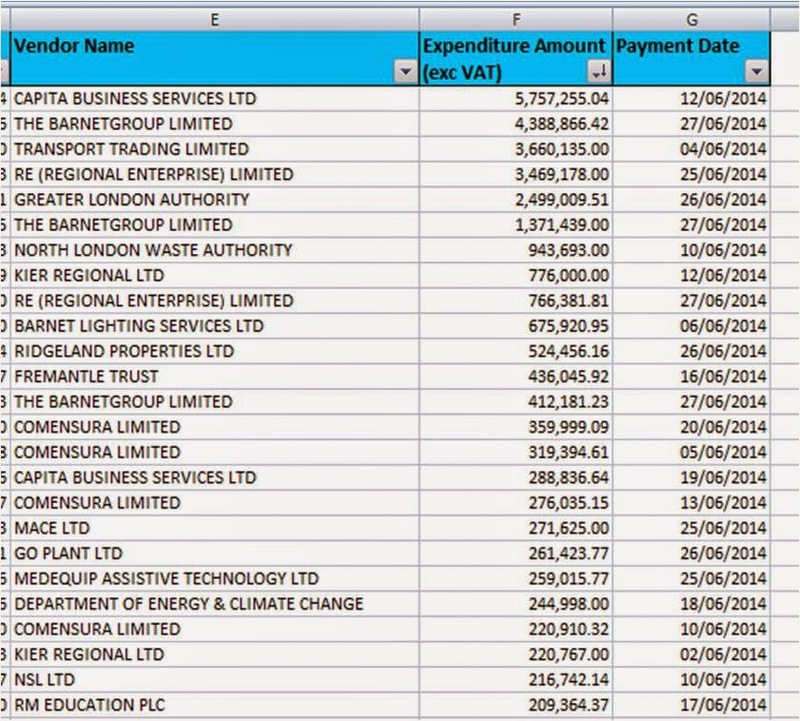 Barnet's supplier payments for August are out and as ever there are some big payments to the usual culprits. Barnet Lighting billed £1,186,455.15 for all those new street lights that we actually didn't need. Comensura who provide agency staff to the council billed £1,331,152.06. Yet again the bill is very high regardless of what was said at the Council meeting in July. Given that the an Internal Audit report earlier this year said that "There is no requirement for the order of agency staff on the Comensura system to be approved by a more senior officer. There is therefore a risk that agency staff may be appointed without appropriate approval." It is also interesting when looking back to four years ago before outsourcing was forced upon us when in 2010/11 the total annual bill for agency staff was £8.99 million or an average of £750,000 a month, almost £600,000 a month LOWER than under the 'wonderful' efficient commissioning council model. Saracens were paid £50,385.50 in rents. I do find this a little surprising given that Mr Mustard uncovered that in July Saracens owed the council £380,000 for parking permits. I hope that £380k has now been paid. And so we come to Capita. They billed £1,113,319.01 a sizeable bill and one for which we have no transparency.